Ask any gardener, compost is ‘black gold’. Whether you grow flowers, fruits, vegetables, herbs or simply potted plants, compost is a must have. You have come to the right place to find the best compost tumblers. Having the right amount of rich compost in your garden can give you better yield. This means that a gardener should have limitless supply of compost at hand all year round. The best and probably the cleanest way to prepare compost is to dump the pile in a compost tumbler. To put simply, compost tumbler is a sealed container in which you put your kitchen and yard waste to be converted into compost. Compost tumblers provide the ease of rotating the compost as compared to open pile where one has to use pitch fork to turn the pile. Compost tumblers speed up the progression of composting by containing the heat generated released during composting process. Continually turning the composting material provides aeration and also helps mix the recently added waste with the already decaying one so as to introduce microbial activity which helps in degrading the fresh addition. Compost tumblers have proved to be efficient, fast and clean. This is among the best compost tumblers available in the market. 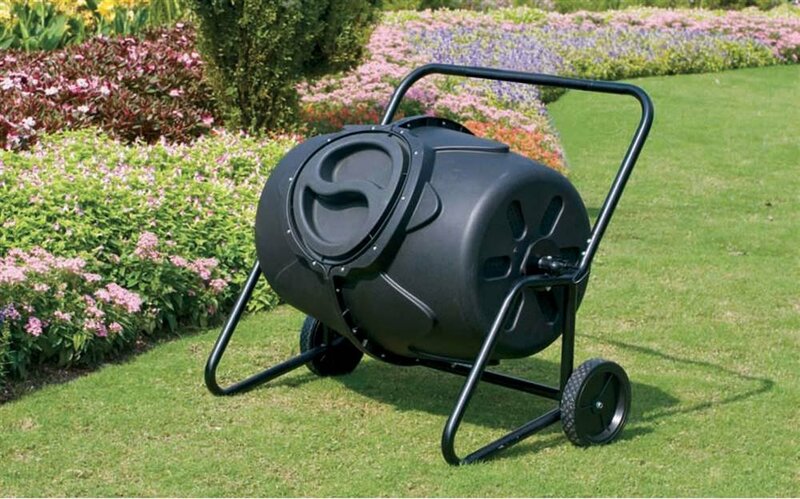 The body is made from black recycled polyethylene plastic and has the ability hold up to 6.5 cubic feet of compost. It sturdy design and solid body, this bin introduces air into the compost through air vents thus speeding up the process of composting. The base hold composting tea and it has eight cast wheels due to which it can easily be relocated for dispensing or filling of material. As the name suggests this is a compost tumbler with dual composting drums. Add your kitchen and garden waste in one drum and let it compost while adding fresh supply in the other drum. This way you almost never run out of compost. The body is made from recycled plastic and is light weight, thus making it easy for anyone to rotate even when filled. 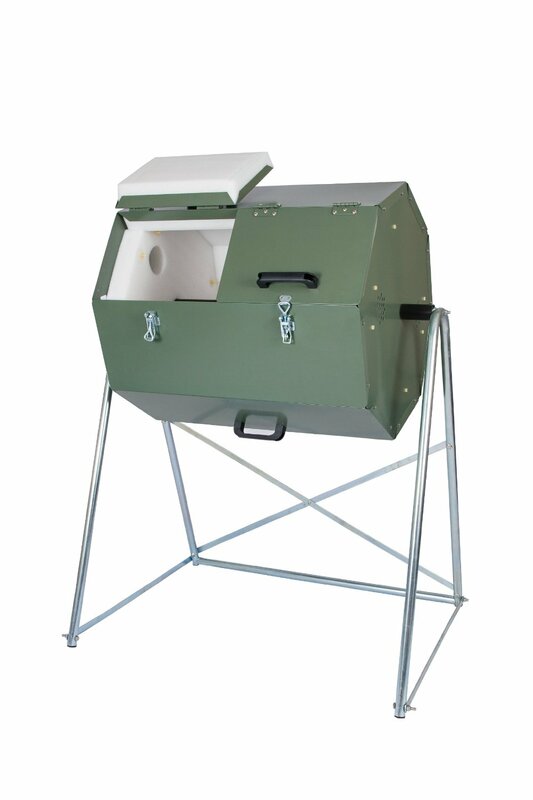 The composter has the ability to hold 190 liters or 50 gallons of composting waste. The body is heavy duty made from 90% recycled plastic. The wheels attached to the base of the body make it easy to move the tumbler from one place to another. It comes with a horizontal rotating bin that must be turned regularly every 2 to 3 days. 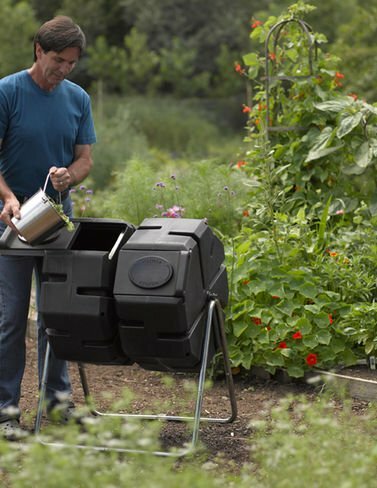 A rust proof insulated composter with dual sections, this compost tumbler can easily be on any gardener’s Christmas wish list. 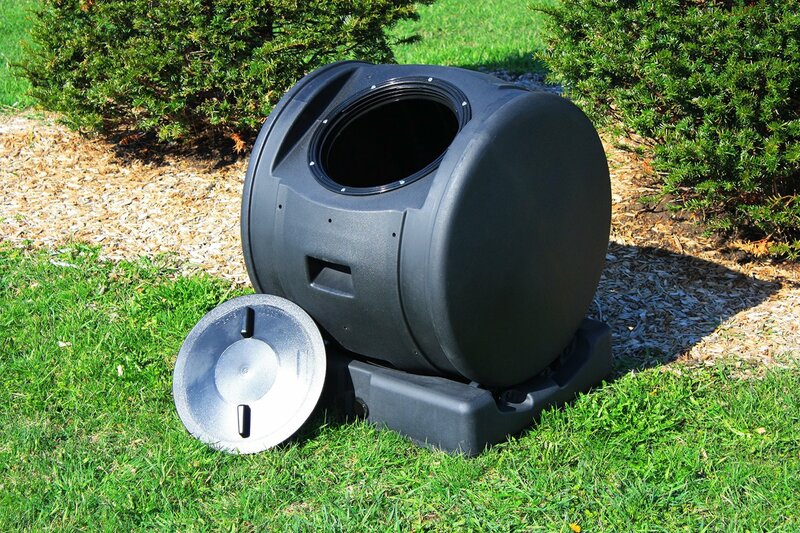 The insulated design of this composter lets the inside temperature rise up to 160 degrees F, thus efficiently composting the organic waste even in cold weather. This makes it one of the best compost tumblers out there. It has 33 gallons, 4.5 cubic foot capacity.